RE/cos will maintain the quality of your work, day in, day out. Increase productivity, reduce costs and ultimately extend the life of any software application. Reverse engineering is the process of automatically analyzing and documenting an existing software application. Re-engineering is the process of using that information both manually and automatically to support, maintain and enhance an application. At the heart of RE/cos is a repository containing information about the classes and persistent objects which make up your application. This repository contains the documentation needed to maintain and enhance your Caché application. Driving RE/cos is a powerful code analyzer which performs the reverse engineering process of extracting information from class definitions, object script routines and other sources, analyzing it and loading it into the repository. Sophisticated analysis tools then enable you to access comprehensive and accurate documentation to assist in the support, maintenance and enhancement of your application. 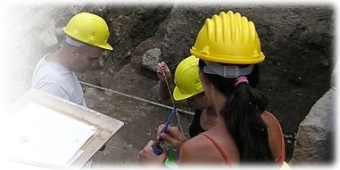 RE/cos includes analysis tools which both enable the impact of proposed changes to be assessed and assist the programmer in locating where modifications need to be made. RE/cos increases productivity by reducing investigation time when making a change, and by automatically documenting changes once they have been made. RE/cos can help identify which parts of an application require re-testing. RE/cos enables system enhancements to be made with fewer design and programmer flaws. Previously unforeseen consequences of a change can be detected during analysis and coding rather than after implementation. The RE/parser option permits syntax restrictions to Caché Object Script to be enforced and enables Object Script to be validated against in-house programming standards and naming conventions.